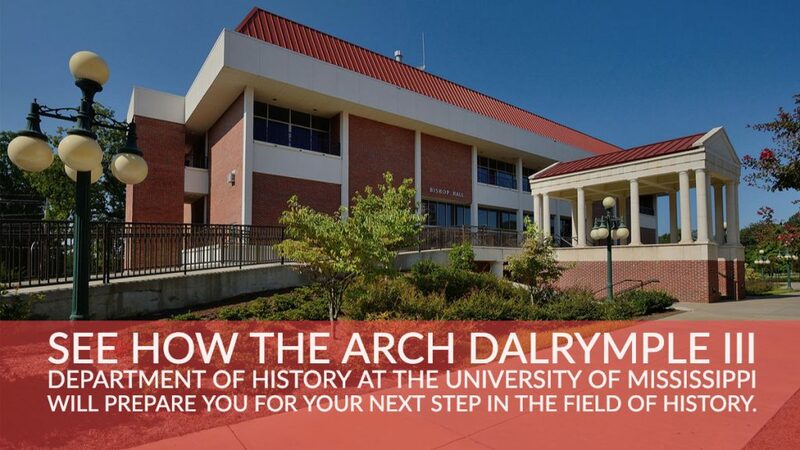 The Arch Dalrymple III Department of History maintains close relationships with several interdisciplinary programs at the University, including the African-American Studies Program, the Center for the Study of Southern Culture, the Croft Institute for International Studies and the Sarah Isom Center for Gender Studies. It also engages in many activities to enhance its regular research and teaching programs and to enrich the intellectual lives of its students and faculty. Each year the Department co-sponsors the Porter L. Fortune, Jr. History Symposium. Held every fall since 1975, this three-day conference brings well-known scholars to campus to discuss their research and interpretations on various issues, often relating to southern history. Recent symposium topics have included Gender and the Southern Body Politic, the Civil Rights Movement, Religion in Southern History, and Britain and the South. 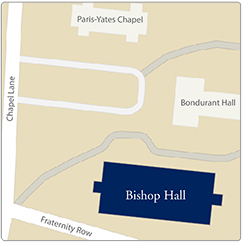 Within the University, the Arch Dalrymple III Department of History also has close ties with the John Davis Williams Library, which contains more than 1.7 millions volumes and another 300,000 eBooks. Of particular importance to history graduate students are the Mississippi Collection of books and manuscripts pertaining to the state, the Blues Archive, and the depository of federal government documents. To gain admission to the doctoral program, an applicant must have earned an M.A. in history or its equivalent, have demonstrated distinct promise of success in advanced graduate study, and achieved an acceptable score on the Graduate Record Exam. Minor fields include the seven major fields as well as African-American, East Asian, Gender, Middle East, Southern, and Twentieth-Century World history. Other minor fields inside or outside the department may be selected and designed by the student in consultation with the Graduate Advisory Committee and the student’s dissertation director. A student choosing a major field in United States history must have at least one minor field outside of United States history, and a student choosing major field in European history must have a minor field outside of European history. Doctoral students must demonstrate proficiency in one foreign language. This requirement may be met in one of two ways: by attaining a grade of B or higher in a fourth-semester language course (SPAN 211, FR 211, or GERM 211, for example) at the University of Mississippi, or in an equivalent course which has been completed within three calendar years prior to enrollment; by attaining a passing grade on a departmentally administered translation exam. In certain fields, more than one language may be required by the Graduate Advisory Committee. After completing the required coursework and fulfilling the foreign language requirement, a doctoral student must pass final written comprehensive examinations in the major and minor fields and an oral exam in the major field before beginning work on a dissertation. The student will undertake a dissertation on a topic in one of the major fields by mutual agreement of the student and the dissertation director. The dissertation will be evaluated by a committee consisting of three history faculty members and a member of another department. This committee will administer a final oral examination on the dissertation. Students should pursue a rationally structured course program to be designed on an individual basis in close consultation with the Graduate Program Coordinator. Doctoral students who have not previously taken a graduate-level historical methods must do so as part of their course work, and they must also complete a one-hour Professionalization course, at least 3 hours of 700-level research seminar, at least 12 hours of graduate course work in their major field, and at least 6 hours in each of the minor fields for their comprehensive examination. Also, prior to taking their comprehensive examination doctoral students must demonstrate proficiency in one foreign language. All graduate students may, with the approval of the Graduate Program Coordinator, include as part of their program a limited number of graduate courses in other departments. The department offers several graduate assistantships every year; each pays as much as $12,000 per year and automatically includes a tuition scholarship. The assistantships are competitive and based on merit, and all applicants to our program are automatically considered for these assistantships. The Graduate School administers a fellowship program to promote diversity. These fellowships are available to persons who identify as members of groups (African-Americans, Latinos, and Native Americans) that have historically been under-represented in graduate education programs. This program may provide stipends and cover tuition, but online programs are NOT eligible. A graduate student may combine any of the above awards. The Graduate School also provides, on a competitive basis, Dissertation Fellowships to a limited number of students nearing the completion of their doctoral studies. More information on graduate fellowships and aid may be found at the Graduate School website listed above. Research support for Ph.D students is also available through Dalrymple Travel Funds. Furthermore a variety of summer funding has been available through the College of Liberal Arts and the Graduate School. In 2017-18, fully funded Ph.D. students received an average of $16,300 (excluding outside fellowships, scholarships, financial aid). Those interested in learning more about the doctoral program in history at the University of Mississippi are encouraged to consult our Graduate Student Handbook February 2019.